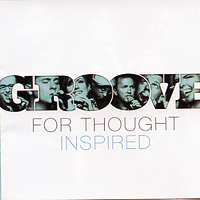 The seven singers of Groove for Thought have been blowing audiences away for over fifteen years. Their jazz influenced arrangements of both standard and original tunes have earned them the reputation as one of the finest contemporary vocal ensembles in the world. 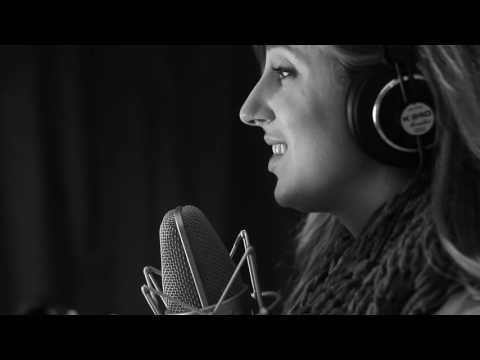 We had a great time recording this arrangement of Winter Wonderland together. We hope you enjoy, too! Happy holidays! 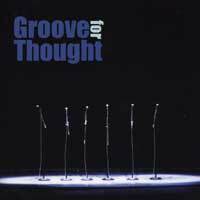 All male Pacific Northwest sextet Groove for Thought's debut CD is here, not surprisingly titled "Groove for Thought." We last saw GFT at the 2005 Harmony Sweeps Finals, where they won both the Best Original Song award for group member Kevin Kunz' "Walk the Straighter Road" and the National Championship. 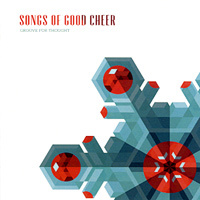 "Groove" is an excellent, jazzy, beautifully arranged album, but we need to warn a cappella purists that there is a lot of accompaniment with these 14 songs. Our favorites are the two pure a cappella tunes, Kevin's wonderful arrangement of "Joy to the World," and Billy Joel's "And So It Goes." We also once again enjoyed "Walk the Straighter Road," which has some light piano accompaniment. Kevin's hot, jazzy originals "Lay It Back," "A Better Place," "Gotta Lotta Lemons," "My Perfect Day," all accompanied, are also very good; as is Chick Corea's "La Fiesta." 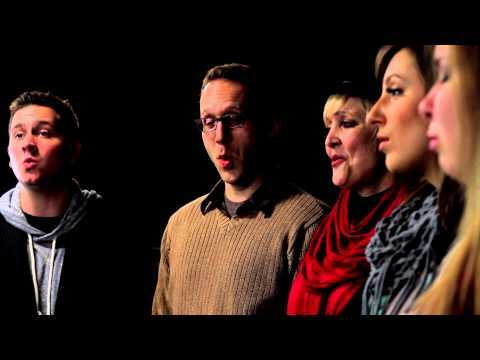 The Kelly Kunz-arranged hymn "Take My Hand, Precious Lord" completes our favorites. GFT has some of the best original writing and arranging we've heard and a clean, pure sound that needs no accompaniment of any kind to blow us away!. 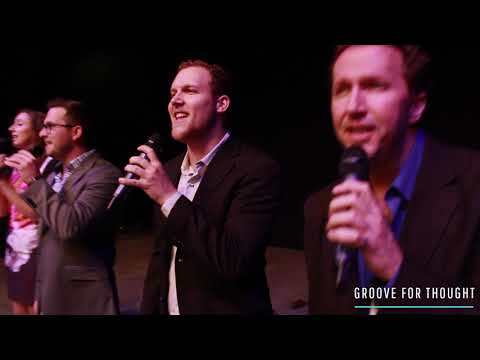 We were first blown away by Seattle's 7-voice (6 men, 1 woman) Groove for Thought when they stepped onto the stage at the Harmony Sweeps 2005 National Finals, where they won "Best Original Song" and the National Championship. Their amazing arrangements, hot leads, and an infectious, unique blend of jazz and R&B left little doubt in our minds and the judges' who was the best group on stage. The second time was in 2010 on NBC's The Sing-Off, when this talented group survived three intense rounds of tough competition with great performances, gaining millions of fans and joining an elite group-the best performing a cappella ensembles on the planet! "Inspired" is a tour de force collection of 11 cuts that only underline that perception, and is certainly one of our early favorites for best jazz album of the year (although we'd also listen to arguments that it's the best R&B album of the year!) Some favorites are a cappella winners, Michael Jackson's "Human Nature," Ray Charles' hit "Hallelujah, I Love Her So," a sublime arrangement of Lennon/McCartney's "Got to Get You Into My Life" and Cyndi Lauper's "True Colors." Accompanied favorites are EWF's "Shining Star," Stevie Wonder's "Signed, Sealed, Delivered, I'm Yours" segued into Wilson Pickett's "Knock on Wood," Pickett's "Midnight Hour," Cyndi Lauper's "Who Let in the Rain," and Marvin Gaye's "How Sweet it Is." More accompaniment than we were expecting, but very cut is a gem here-don't miss "Inspired," a powerful album by one of America's best! Wow no wonder this fabulous vocal jazz group were National Champions of the Harmony Sweepstakes and finalists on the Sing-Off TV show! The listener is grabbed immediately by the amazing opening track Carol Of The Bells and the highly innovative arrangements and stellar vocals takes you on a Holiday harmony joy ride. It is so refreshing to hear fresh interpretations of these Christmas songs and there is never a dull moment. Mostly a cappella with occasional light accompaniment this is a recording that vocal jazz fans will play season after season.